How Will My Car Insurance Be Affected In A Hit-And-Run Accident? Every year, there are thousands of hit and run collisions on our roadways. If you haven’t been involved in one yet, chances are you will be in one in your lifetime. According to the National Highway Traffic Safety Administration (NHTSA) in 2003-2006, one in eight accidents were hit-and-run. 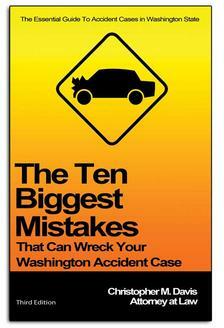 It’s estimated there are over 700,000 hit and run accidents every year in the United States. Insurance rates differ depending on if you were the person hit or if you were the person who “ran." If you caused an accident and left the scene with providing your information, you are responsible for that accident, resulting in a hit-and-run charge. If you are caught, or your conscious persuades you to turn yourself in, your insurer (if you have insurance) could charge you with an at-fault incident. This will most likely result in higher premiums. Depending on state laws, a hit-and-run accident could stay on your record for five to seven years, resulting in even higher premium at your next carrier. In every accident you are involved in, you know what the right thing to do is. If you caused an accident, take responsibility for your actions. If you are the victim of a hit-and-run accident, your insurance rates should not be affected. Insurance companies generally do not fault the other driver for the accident. But, that does not mean your insurance company will cover the accident. There are two plans that would cover a hit-and-run: Uninsured/Underinsured Motorist (UM) and Collision. Insurance companies offer Uninsured Motorist coverage for times like these. Hit-and-Run incidents are covered minus your deductible in most cases. If you do not carry UM, then your Collision coverage should pick up the tab – minus your deductible. That’s one of the reasons you should carry UM or Collision at all times. Regardless, if you’re involved in an auto accident with a hit-and-run driver, contact your insurance company and an attorney. They will provide the best advice for handling your claim.